The Maryland Welcome! 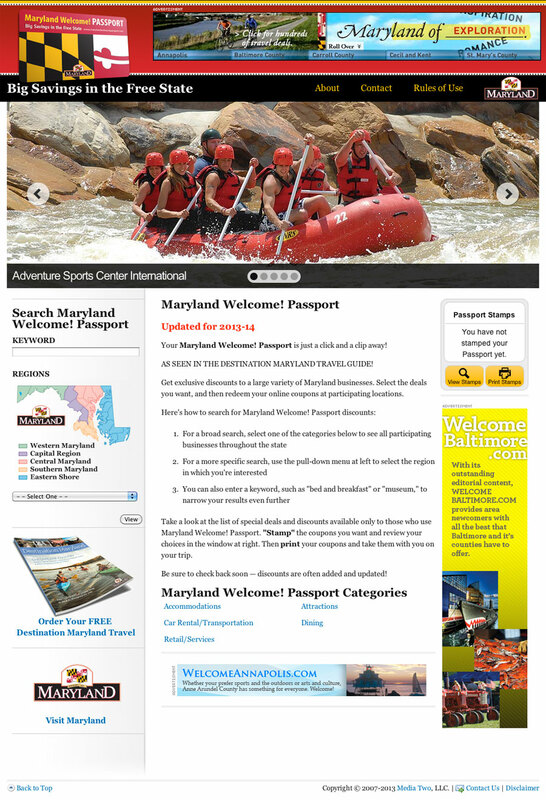 Passport was the official discount program offered by the Maryland Office of Tourism. 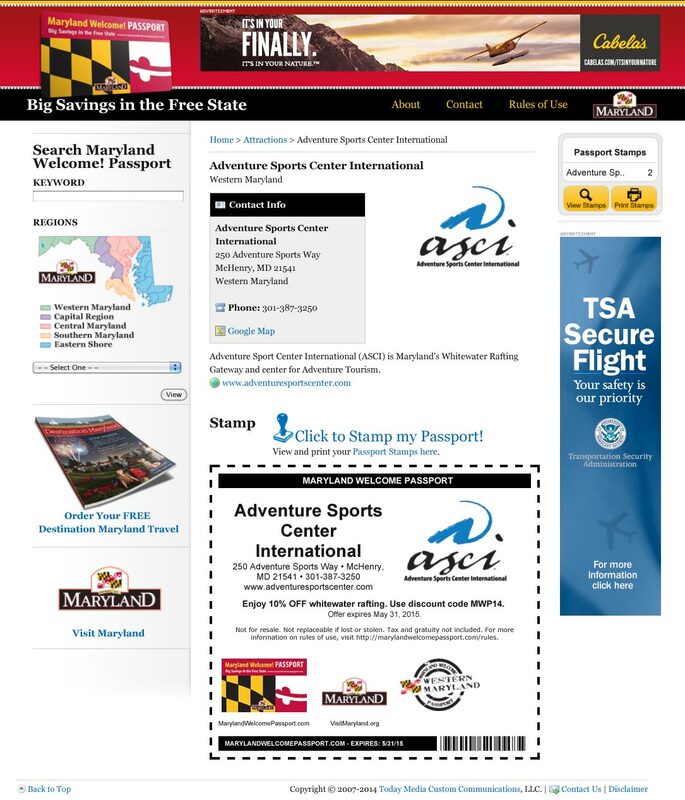 The site allowed users to store their discounts into a shopping cart and print all "passport" stamps when completed.